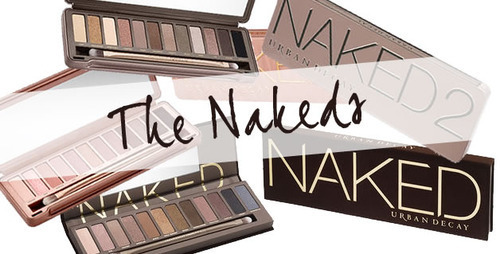 Which Naked Palette is for You? The Naked collection by Urban Decay is definitely a cult favorite. Each palette has its own finesse, whether it be Naked’s bronze feel, Naked 2’s taupe neutral hues or Naked 3’s rose gold shades. The Naked Palettes have done so well in the beauty community, but for the average girl or even a beauty junkie, picking out the right palette that compliments your eye color and skin tone may be a challenge. All the palettes can work with all skin tones and eye colors, but now that we have three options to choose from, we can customize which palette suits us best. 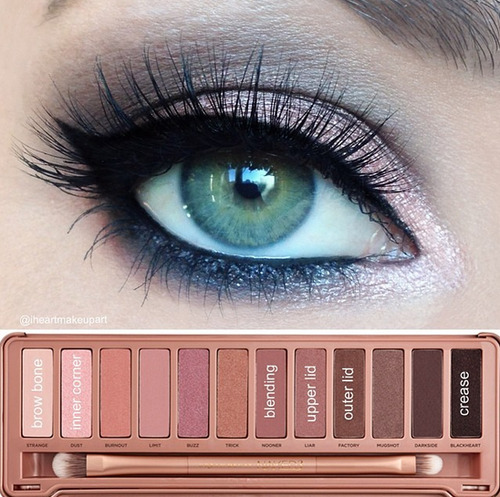 The original Naked palette includes 12 eye shadows: 2 matte shades and 10 shimmer/satin shades. The colors are mainly bronzey with warm neutral tones. People with dark hair, golden/olive undertones or brown, hazel and green eyes will benefit a lot from this palette because the shades will compliment and make your eyes glisten. 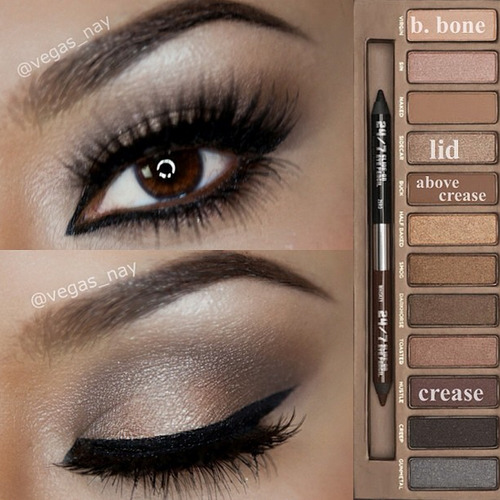 The look shown above is easy to do and gorgeous. Makeup artist @vegas_nay used the colors Hustle, Virgin and Buck. To finish off the look, a blush that will go well with this eye shadow look would be something in the peach family, such as Clinique’s Cheek Pop Blush in Peach Pop. 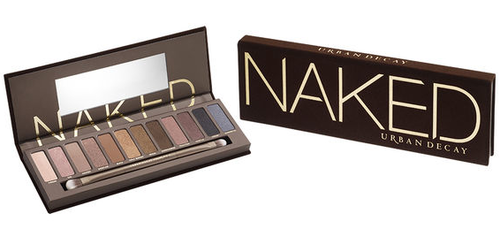 The Naked 2 palette includes 12 eye shadows: 3 matte shades and 9 shimmer/satin shades. The colors are mainly taupe based and will compliment cool skin tones. People with pink or blue undertones will work best with this palette. To create the look above, use the colors Foxy, Suspect and Busted. A blush that will go well with this eye shadow look would be a pale pink, such as Benefit’s Dandelion Blush. Naked 3 includes 12 eye shadows: 3 matte shades, 2 glitter shades and 6 satin/shimmer shades. The colors are all in the rose gold family. While this palette can work well with most skin tones, the colors may stand out more on light/pale skin and blue eyes. The look above uses the colors Strange, Dust, Nooner, Liar, Factory and Blackheart. To finish off the look, a blush that will go well with this eye shadow look would be NARS’ Sin. With the range of colors in the Urban Decay Naked collection, you’re set for every occasion. From an everyday look to a night out with your friends, the Naked palettes will impress. They are a cult favorite for a reason! One of the greatest aspects about makeup is that it is so versatile. You don’t have to pick and choose something that is just right for you. Experimenting with colors is half the fun, so pick up any of these palettes that appeal to you and start playing! To discuss and discover more palettes, log onto Pampadour now!